Earlier this month, Kyle Samani from Multicoin Capital published an article describing how layer 1 and 2 protocols capture value, as well as frameworks to apply to each. On the first layer, the value capture associated with the asset is linked to securing the base protocol from attacks, namely 51% attacks. Outlined in the framework is the cost of conducting such an attack, which is noted as a “security budget” (SB), which is the network’s current value multiplied by its inflation rate as a means to quantify the reward of securing that network (with transaction fees added). All of which also ride on the concept of base protocol assets acting as a form of money. On the second layer, it’s whether the asset has the ability to capture any meaningful value through storing “external and valuable state.” This could essentially boil down to: if you can fork it with community costs being the only glue holding things together, it doesn’t capture any valuable state. Governance as a value capture method is questionable, payment tokens capture little to none, but work tokens capture valuable state and cash flows. Augur contains valuable state based on capital locked in Augur contracts, and Livepeer can be measured based on open interest (available cash flows). I would like to take these concepts and speak on the value capture of Layer 3 services. To define a layer 3 service, this is a service that is built on top of both a base chain and a number of middle protocols to abstract them for consumer use. To give concrete examples of these services, we’ll use two of them: Veil, and Radar Relay. 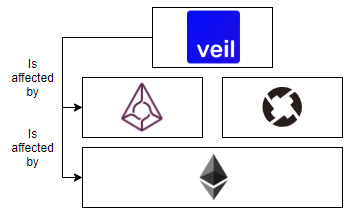 Veil is essentially a service to both create and participate in predictions markets enabled by Augur, and trade derivatives on those markets through the 0x protocol. Obviously, the two enabling middle protocols sit on top of the Ethereum blockchain. Veil generates value by simplifying the experience for a more general user and taking a 1% fee on all orders, along with a redemption function allowing users to redeem winning shares before a reporting period ends for 1%. Radar Relay is a non-custodial exchange built on top of the 0x protocol, and of course, the Ethereum blockchain down below. They originally charged maker and taker fees at 0.45% and 0.70% respectively in ZRX, but have since discontinued taking fees for the sake of trying to generate user interest. They will most likely have to take fees in the future for the sake of sustainability. To value these third layer platforms would normally be through open interest against their current fee models. That seems simple enough — similar to how we measure existing businesses and valuations. 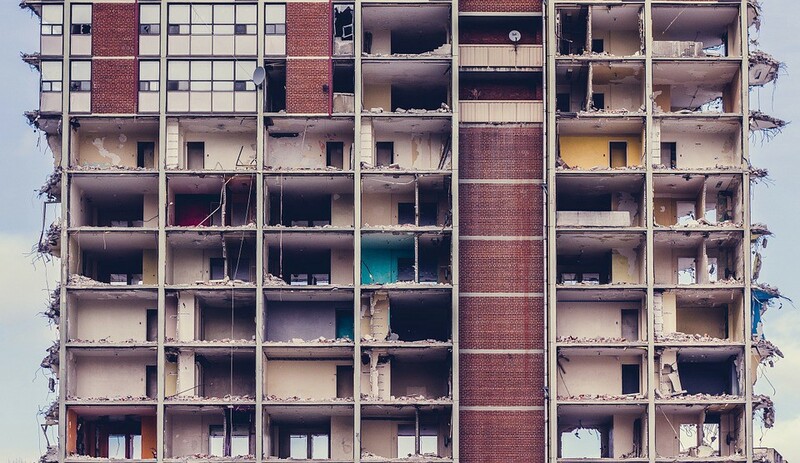 However, the factor that needs to be included is the risk of building on multiple layers, each with their own individual risk profile. For example, Radar Relay needs to factor in the risks associated with both the Ethereum protocol (measured through the layer 1 framework), and the governance risks associated with 0x. If a governance decision impacts or disrupts a business built above 0x, the costs associated with voting need to be considered — which can be upwards of 51% of the voting power on the protocol against the costs of simply forking the protocol for their own needs (Hydro Protocol’s take). Similarly, if an Ethereum governance decision impacts a middle protocol such as 0x, those are costs that are incurred as well. However, the main cost to factor in is the risk of an attack on the network as outlined in Kyle’s framework. If the chain is compromised, it’s a bit difficult to simply “move-shop” to a different protocol that may not offer everything that you’ve built your business on. You not only require a new base chain, but rebuilt middle protocols as well to build your business on. In the case of Veil, they’re not only worried about decisions and compromisation at the base protocol, but decisions and risk associated with two middle protocols (Augur and 0x). The more integrations you have with a layer 3 service, the more risk you incur. 0x and Augur — Risk: Protocol failures; Governance. Ethereum — Risk: Compromised network; Governance. It’s important to note that most of these services are possible without the assistance of a Veil or Radar Relay, but the experience they provide is what generates value for them. As a user, do I want to use Augur’s client, or do I want to use Veil’s clean experience and trade derivatives on the available markets. But it’s important for individuals with interests in these businesses to take note of the risks associated with building on the foundational layers of choice, and how the future of those protocols will impact the business. It’s also important to note that many of these services will become commoditized over time. Thanks to Phil J Bonello.